When responding to an email or clicking a link, most people don’t think twice. Sending emails has become so common that users rarely consider the danger of phishing and other fraudulent activity. But those who are unaware of the threat are at an even greater risk, and it will likely be too late for them to take action by the time that they notice the problem. The key to avoiding this trap is to educate yourself and to remain vigilant at all times. Although disregarding safety for convenience is becoming common, it’s a pitfall that can have a lasting impact on anyone’s future. Phishing is the process of posing as another person or as a company to deceive people into giving their personal information away, and criminals have been known to use emails as a way to reach their goals. Knowing about the threat is not always enough when your task is to keep yourself and your bank account safe, and the attack can occur at any time. A user will be checking their email as they would on any other day. Suddenly, the user spots an email from the bank that asks the user to log in to the account to confirm a recent transaction. But the email was not from the bank, and the user’s information is now in the hands of an identity thief. If you don’t want to encounter this situation, then the following information will help. In a common phishing attack, a criminal will pretend to be someone whom you trust to steal sensitive data. The email could appear as though it had been sent by a friend, boss or business contact, and you might be asked for your account information or pin number. But no credible business will request sensitive data in an email, so the request should be your first red flag. Rather than sending personal details in an email, pick up your phone and call the company or the individual who requested the information. Although this step might seem a little time-consuming, it can save you from a lot of trouble. Long before sending you a fraudulent email, experienced criminals will put in the effort to clone the website of a bank or business. They will then send an email posing as your bank or another trusted entity, and you will be encouraged to click a link that will take you to a malicious website. Although the content, logo and other details might appear identical to the real thing, any information that you send will be exposed. Avoiding this type of attack is not difficult. Simply open a separate web browser and manually navigate to the website that you intend to visit. Keep in mind that phishing attacks can come from any location on the planet, so a lot of fake emails are sent by those who don’t speak English as their first language. When someone from another country sends a fraudulent email, the message will often contain obvious spelling errors. Some people dismiss the spelling errors that they find, but they will likely have their personal information stolen as a result. Customer service agents can make mistakes, but using caution is the best way to avoid becoming a victim. Also, even criminals who speak English fluently can make mistakes when typing an email. If you notice anything that seems odd, call the company or person from whom the email appears to originate and ask for verification. If the email is not legitimate, report it as spam and block the domain. Downloading and running email attachments is a good way to get a virus or to have other malicious software installed on your device. In the past, hackers would use screen savers and free games to infect their victims, but hackers can even use Word and Excel documents to inflict damage. After a computer is infected, the malicious code will sometimes automatically email itself to everyone in the victim’s address book. If you want to avoid this problem, never download an attachment that you were not expecting. Having your identity stolen can destroy your credit score, and some people are forced to wait years before they can reverse the damage. 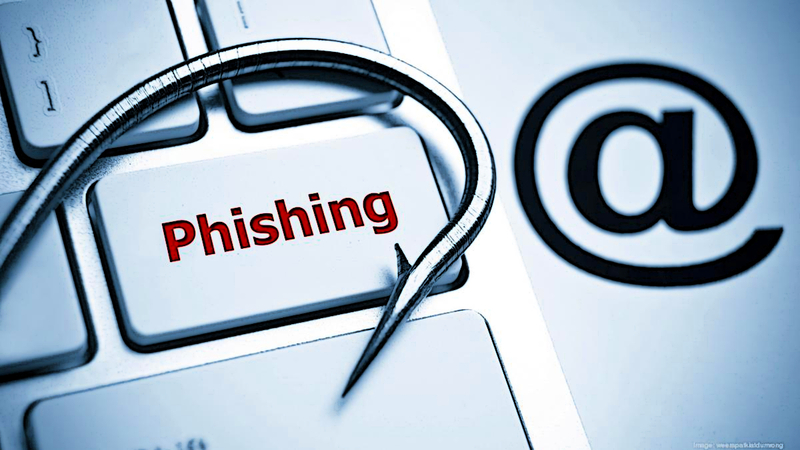 Nobody should overlook the threat of phishing, and you can never eliminate the risk entirely. But you can significantly reduce the odds of having your personal information exposed by keeping safety at the front of your mind. Protecting yourself will require some time and effort, but safeguarding your information is always easier than trying to pick up the pieces after an incident occurs. Those who focus on security when communicating online will follow these tips, but they will also use common sense to detect the signs of suspicious activity. If you run a personal or business website then it’s vital you take steps to secure your website and protect it from hackers. Criminals have many reasons for wanting to gain unauthorized access to your content, and all of them will impact you and your business in a negative way. By following the steps below, you will not only keep your website and data safe, but also your business. When hackers want to take control of your website and to cause damage, they will search for your administration directories. If they can locate them, then the hackers can steal your login details or give themselves access. Many programs are available that will scan websites to find administrative credentials, and you can protect yourself by renaming your directories. Although this step might seem small, don’t get tempted to overlook it because you must do everything that you can to stay safe. The name that you give your directories is not important as long as you know how to access them when you need to make changes. Hackers will sometimes use brute force software to access your administration panel, and they can do anything they want from there. The brute force software works by repeatedly entering different numbers and letters into the username and password fields until it finds the correct combination. You can protect yourself from such attacks by using strong passwords that contain letters, numbers and special characters. Although it’s still possible for hackers to use brute force software to break into your website, they are not likely to succeed. A complex password can resist a brute force attack for several thousand years before the correct combination is discovered. Unless your website contains extremely sensitive data, the hackers will likely move on to an easier target. Many people store files on their website as plain text, and that makes it easy for hackers to steal and read the information. The problem becomes that much worse when the data contains the credit card numbers of your customers. You can add an extra layer of safety by encrypting your files so that they become all but impossible to read. An encryption program works by scrambling a file until it’s unreadable, and only the person with the correct decryption key can reverse the process. If your important files are encrypted, hackers will not be able to see them even if they gain access to your website. One of the ways that hackers gain access to a website is by looking for software vulnerabilities. They will reverse engineer software and scripts to find methods to take control of your content and to view your files. To combat that problem, software developers consistently release updates for their programs, which address known weaknesses. But some webmasters are still reluctant to update their sites because they don’t want to experience any downtime. When you choose not to install recent updates, you are inviting criminals to exploit you and your users. Ensure that you are always using the latest scripts when your goal is to safeguard your website. When protecting your website data is your No. 1 goal, utilizing a backup solution is a must. However, If all of your files and backups are stored on the same server, you risk losing everything if that server gets destroyed or compromised. The good news is that you can combat this problem by utilizing a Cloud Backup solution. This option involves uploading the data that you want to protect to ‘The Cloud’ – a cluster of servers located in a remote, secure data center. Running a business can be very demanding and it may not leave you with enough spare time to regularly maintain your website’s security. If this scenario sounds familiar, your best bet may be to switch to a Managed web hosting solution. TurnKey Internet offers a complete all-inclusive fully managed service that lets you focus on your customers while running your business – leave the infrastructure, software updates, security, backups, and uptime to us. If you run a server, especially for your business or organization, security should be a top priority. Whether the server exists to host files for a website or is networking computers for an office, it needs to be protected from malicious software, exploits and hackers. Failing to secure a server can lead to lost or corrupted data, damage to devices connected to the network and unauthorized individuals getting access to sensitive data. Below are various security measures that you can employ on your server that are extremely effective. Programs running on your server, such as control panels (cPanel, Plesk), CMS (WordPress, Joomla, etc.) and even the operating system, contain various default settings that need to be reviewed and if necessary modified. They include everything from preset usernames and passwords for admin access to default connection ports. Anything that is left as set up by the software manufacturer may be used as a way to gain easier access to a system. Even leaving the URL for admin access to a server or programs on the server can make it easier for hackers to get in. There are hacking tools that specifically scan websites and servers for default URLs and folders, so changing default login locations is important. On this same basis, it’s a good idea to make sure that directories are protected so that people cannot see their contents. A critical requirement to properly managing a server is knowing what is happening with it at all times. Even the best security software cannot prevent all intrusions, and hackers are constantly figuring out new ways to exploit and circumvent security systems. Therefore, it’s important that activity on a server is always being monitored. Things that normally indicate a problem include incredibly high data transfer or processing power use as well as multiple failed login attempts. Brute force hacking involves trying to login to a system over and over again with different login and password combinations. In addition to draining system resources, it can also eventually allow a hacker to find a combination that lets them into your system. Real-time monitoring can help detect these issues and alert the appropriate people, and it can also shut down brute force login attempts. Another important server security measure is to ensure that all passwords, especially the root and/or Admin passwords, are complex and that people are only given access to areas that they need to do their job. Aside from malice, giving an intern administrative access to databases could lead to major problems through simple error. It’s also recommended to change your passwords on a regular basis, even if they are robust. There are a number of ways to tackle the issue of making sure passwords are complex enough, including using computer generated passwords or using passphrases. Computer generated passwords normally require certain characters, length and require a combination of upper and lower case letters; passphrases are combinations of words, and they tend to be easier to remember and more secure than passwords. There should also be a set time that passwords expire, which will require users on the network to change them on a regular basis. Along with ensuring that people are only given access to parts of a server that they need to have, it’s important that permissions are updated when people leave a job or move to a different part of the company. This can be done with proper database management and doing occasional audits to ensure that access levels are appropriate. One way that hackers get into many servers is by going through weak points that developers did not notice when creating an application or an operating system. This is why both computers and mobile devices need regular updates. Along with offering new options, updates close off back doors and holes in the security of software. Therefore, it’s important that all software hosted on your server is kept up to date. For web hosting servers, that means content management systems (CMS) such as WordPress, and the plug-ins the CMS uses must be kept current. Many operating systems and software applications can be set up to update automatically, but if you’re not comfortable with that, it’s important that you have some way of being notified when important changes are available. In the world of Content Management Systems (CMS) there are 3 major contenders: WordPress, Joomla, and Drupal. If you are creating a new website, you may be asking yourself which one is best. All three have their own pros and cons, and all three are free to use, open-source software. Let’s take a brief look at each one to see which CMS is right for you. 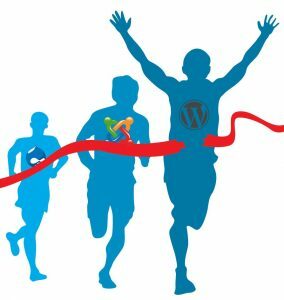 Created back in 2003 and currently running on more than 70 million websites, WordPress is by far the most popular CMS out there. It started out as just a simple blogging tool, but has evolved into a full, feature-rich, content management system. With it’s extremely easy to use interface, you can create a website in only a matter of minutes. Plus, with the endless amount of free themes and plugins available for WordPress, it’s easy to make your website look great. However, popularity does have it’s drawbacks. For instance, WordPress is one of the biggest targets for hackers. It is critical you keep it up-to-date to prevent attacks on your website. Regardless, with it’s intuitive design and countless number of free customizations, this easy to manage CMS demonstrates why it’s a popular choice. Considered the second most popular CMS out there, Joomla is also easy to use, but is a bit more complex and requires a higher skill level than WordPress. It has less free customizations when compared to WordPress, however when it comes to E-Commerce sites, Joomla excels and tends to be a favorite choice. It is also considered to have one of the strongest developer communities. Joomla is based on PHP and MySQL, giving more advanced developers the ability to create a powerful web application. With a minor amount of effort into learning Joomla’s terminology and structure, you can go on to create a fairly complex website. If you are looking for something still fairly easy, but with more flexibility than WordPress, Joomla might be the one for you. Drupal is ranked as the third most popular CMS in the world. It is regarded as the most complex, with the highest learning curve of the three. Drupal has a greater amount of free customizations and themes available when compared to Joomla, but less than WordPress. It is considered to be one of the most versatile and robust content management systems available today. When it comes to websites that contain a large amount of complex data with heavy visitor traffic, Drupal is an excellent choice due to the speed and strength from its advanced structure. However, all of this comes at the cost of needing more experience and expertise to truly utilize this powerful, developer friendly CMS. If you are looking for an enterprise-ready CMS that will scale with your growing business, look no further than Drupal. Whether you are a beginner looking to start a blog, an expert developer creating a complex, versatile site, or somewhere in between, one of these three CMS applications will definitely get the job done. Best of all, they are free to use and support simple one-click installations. So if you are currently hosted on TurnKey Internet’s shared cloud platform or have a cPanel dedicated server, getting started couldn’t be any easier! The question then becomes not which one is best, but instead, which one is best for you. If you’re in a store and ready to check out but you can’t find someone to help you, chances are you’ll stick around. You may even wait quite a while since you’ve gone through all the trouble of going to a store and selecting which items you want. However, if you’re waiting a long time for a website to respond, you can be on another site making the same selections within seconds. 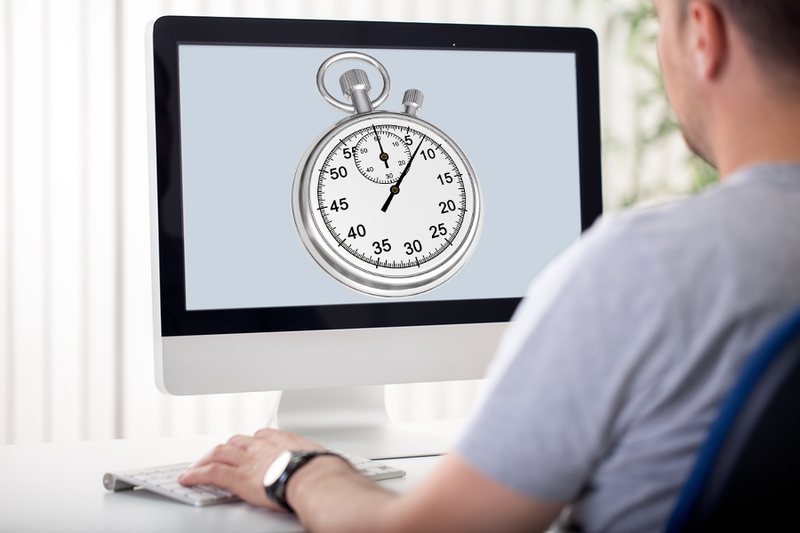 For this reason, it’s essential that your website runs quickly and loads within mere seconds. People have a large selection of websites that they can get information from or do business with, and you need to be sure that your site is providing what people want very quickly. Additionally, it’s not just sites that sell items that need speedy load times. Sites that generate revenue from ads also need to load quickly to prevent the loss of income. Studies show that people are steadily becoming less patient when it comes to waiting for web pages to load; 47 percent of people expect a website to load in two seconds or less. For mobile sites, you are given about three seconds before more than half of visitors say they will leave. Even if you’re getting people to stick around, a slow load time can drop your conversion rate. A study done by Amazon showed that just a 0.1 second slower load time resulted in a one percent decrease in sales. While Amazon is enormous and your website may not be able to generate that much traffic or sales, it shows that even tiny slowdowns can still have a tangible effect on your business. If you run a business website, you’re probably at least familiar with the concept of search engine optimization, which involves signaling to search engines that people who are searching for particular terms or phrases would benefit from visiting your site. Google, and other search engines, include user experience as a metric when determining where your website will end up in search engine results. User experience includes a number of things, including the quality of content on a site, if it’s easy to navigate and how quickly the website loads. Google doesn’t generally release specific information about how metrics are weighted, but a slow website can dramatically reduce your user experience score. With SEO being so competitive, the last thing you want is a slow website dragging your ranking down. One of the reasons that user experience is a part of many search engine ranking metrics is because people tend to not return to websites that worked poorly for them. Research done by Statista indicates that a quarter of shoppers will abandon an online shopping cart if the website is too difficult to use. Having a slow website can also make visitors do more than just wait. It can also keep certain parts of your site from working because scripts still need to load. Someone may fill out a form or attempt to add an item to a shopping cart and get an error or find that nothing is happening. Additionally, when a website is slow, it may not load properly or things on the page may start adjusting themselves, changing the locations of images and text as people are trying to read or use the site. These types of frustrations can easily send someone away from your site with a commitment to never return. Mobile users can be even more impatient than people on PCs. With the number of individuals using mobile devices to both surf the web and make purchases, it’s essential that you’re not driving away customers and visitors with a slow site. In addition to needing to create mobile and desktop versions of your site, you need to be sure that mobile versions load quickly and aren’t just designed to fit on a smaller screen. People on mobile devices often have data caps, and although powerful, smart phones have far less processing power than computers. Images need to be shrunk in terms of both pixels and file sizes, and scripts need to be kept down to the minimum required for the site to function. Along with rating user experience for desktop websites, Google also measures user experience for mobile sites. Furthermore, in the last year, they’ve started ranking mobile friendly sites higher when people do searches on a mobile device. Depending on the ad network that your website is hosting advertising from, you may only get credit for ad views if the ad loads properly, if the visitor to the page has the ad show up on their screen or both. If your website is very slow, ads may not be loading properly, depriving you of revenue. Google found that 25 percent of mobile sites with load times under five seconds had higher ad revenue. Whether you have a slow site or would just like your site to run faster than it already is, one of the first things you should look at is cutting down on scripts and reducing the size of image and media files. Scripts can slow down even a bare bones site because they use a server’s bandwidth, processing power from the server and processing power from the computer they are being loaded on. Unless your site – and the page that someone is on – needs a script or function to run, consider ditching it. Media files can also dramatically increase the amount of time that it takes for a site to load. Instead of eliminating image files, see if you can’t compress them or use another file type that results in a smaller image. A small loss in image quality can cut an image’s file size in half. Another consideration is the server or hosting provider you’re using. You may need more bandwidth or processing power, and if you’re using shared hosting, it may be time to upgrade to a VPS or Dedicated Server solution. Redesigning your website might be one of the most important business moves you make as 2018 gives way to 2019. A redesigned site can mean more visitors, more sales conversions and a positive impact on your bottom line. Of course, redesigning your website may also be one of the most time- and resource-intensive tasks you undertake this year. That’s why planning ahead is essential. Creating a detailed plan for your site redesign ensures that your efforts will be both time and cost effective, and it helps to ensure that your site truly meets your business needs too. 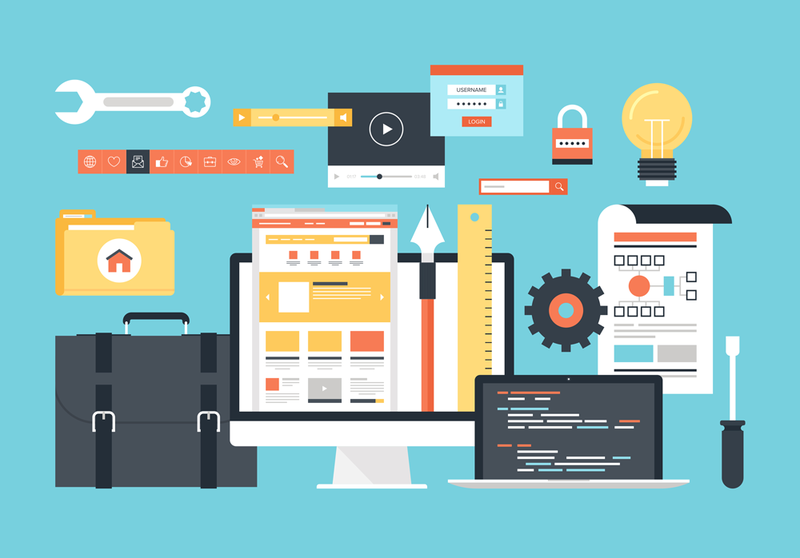 Here are seven steps to take as you develop your website redesign plan. Taking an honest look at your current website design is the very first thing you should do if you’re planning a redesign. Start by making a list of what works on your website. Then, make a list of everything that isn’t working. You’ll want to consider basics such as site color, visual layout and your company’s logo. You’ll also need to take website functionality when it comes to navigation, contact forms and e-commerce tools into account. Ask your staff for their opinions about the current site, and be sure to take a second look at any feedback you’ve received from website users too. The total monthly, quarterly and yearly sales generated by your site. Once you’ve evaluated what does and doesn’t work on your existing site, you can start setting goals for your new site. Maybe you want to attract more consumers in your local area, or perhaps you need to redesign your site so that it accommodates visitors on tablets and smartphones. Create both aesthetic and use-related goals to direct the general redesign process. In addition to creating these general goals, you should also create specific goals based upon current website metrics. For example, you might aim to increase traffic by 50 percent or to improve the search engine ranking of your site. Creating clear goals based on metrics will make measuring the success of your site redesign much easier. You might think that you know your website audience, but there’s no room for error when it comes to investing in a redesign. Work with your internal marketing team or hire an outside consultant to do research on your target demographic. Understanding who is likely to visit your site and what tools they hope to find on your site will be invaluable during the redesign process. Be sure that you’re also looking at the keywords that visitors are using to find your site so that you can target them during the redesign process. In addition to getting to know your audience, it’s essential that you get to know your online competition too. Start by reviewing the websites of any major, brick-and-mortar competitors. How are their sites organized? What are they doing to convert visitors into customers? What kinds of resources are they offering to visitors? Once you’ve evaluated local or real-world competitors that you know about, conduct keyword-driven searches to identify online-only businesses that might be competing with yours. Evaluate these sites using the same criteria you used to evaluate other known competitors. As you evaluate your competition, jot down ideas of how your website can set your business apart from others. A visually striking website is important, but a redesign is useless unless you also have a strong content strategy. Decide what types of photos, graphics and text you’ll use to attract visitors to your site and engage them once they’re there. Evaluate the current content of every page of your site, and determine how it can be improved or built upon. Think about the strength of your site’s current SEO strategy and what can be done to improve it. Once you’ve determined your overall website goals and have decided what type of content you’ll include, you can start making aesthetic decisions. Consider the overall layout of your website, what colors it will use and whether your logo needs to be redesigned. Remember that making your website an extension of your branded image is essential. Of course, you’ll need to make technical decisions as you make design decisions. These include the framework on which your site will be built and how you’ll meet mobile optimization needs. 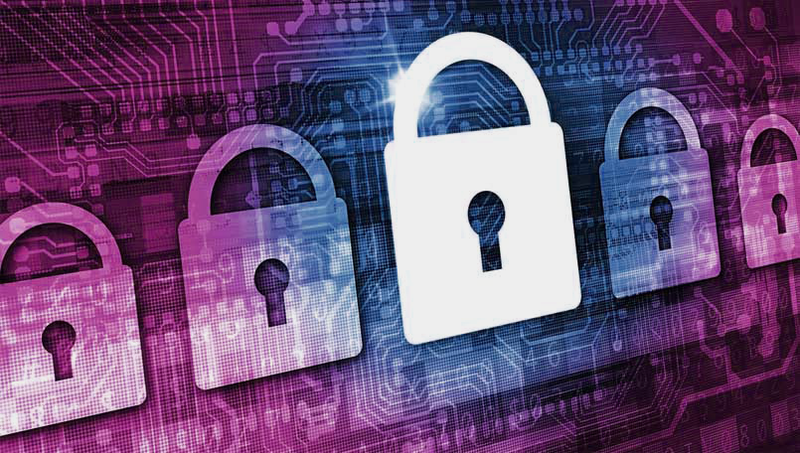 Be sure to go over site security concerns with your design partner too. Preventing hackers from accessing customer information is essential to building confidence with web visitors. Once you’ve made major redesign decisions, you should create a timeline for your website relaunch. Your chief priority here should be to minimize site downtime and ensure that visitors can still use your site during the redesign process. As your redesign progresses, be sure that you’re meeting your timeline goals. Doing so is essential to budget control and allows you to alert website users of coming changes in a timely fashion too. As with most big business decisions, the success or failure of a website redesign depends largely on planning. Taking the time to plan now will ensure that you get what you want from your site redesign and that you’re able to stay on budget while doing so too. Make a thorough plan now so that you can kick back and enjoy the success of your new website when it launches. cPanel provides convenient server access and a user-friendly interface for managing your website. However, like any online environment, it has several potential security problems. As a responsible webmaster, it’s up to you to recognize these vulnerabilities and take steps to close any loopholes hackers could use to access your server or site. 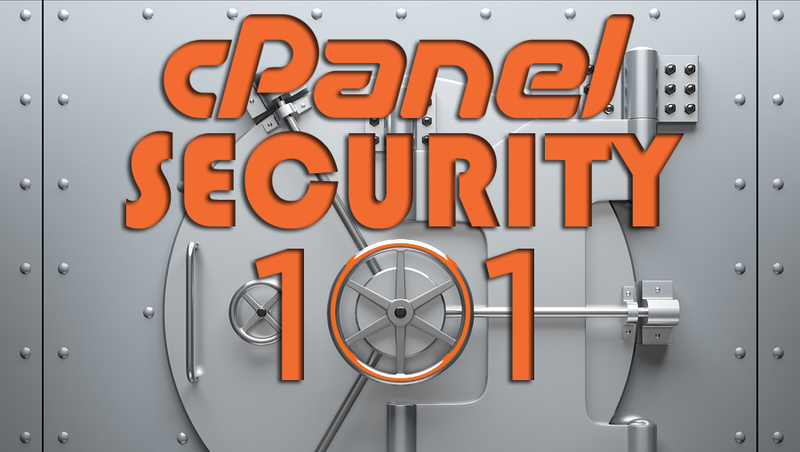 Take charge and manage critical access points with these eight cPanel security tips. From the main cPanel portal to individual email accounts, every login point needs a strong, secure password. Guidelines for length vary, and some sources suggest as many as 14 characters to ensure protection. Longer passwords allow for more complex combinations of numbers, symbols and upper- and lower-case letters. Use a different password for accessing cPanel, FTP, email management and other secure areas, making sure none of them contain obvious information such as phone numbers or birthdays. If you have trouble coming up with enough different combinations, try an online password generator. A password manager is useful for keeping track of your login information for all of cPanel so that you don’t have to look up each password every time you sign on. A firewall lets you access cPanel while keeping unauthorized users out. Think of it as a border patrol for your server, constantly checking to ensure only the right people get through. ConfigServer Security and Firewall (CSF) is a popular firewall application for cPanel designed to serve this purpose. It scans the system on a regular basis and checks authentication logs to keep your site safe from hackers at all times. CSF also provides feedback on how to make your server more secure overall. Since more is better when it comes to security, check these reports and make any necessary changes as soon as possible. Although a firewall can prevent hackers from gaining access to your site, it won’t stop them from trying to log in. Brute force protection is a feature of cPanel used to block IP addresses after multiple failed login attempts. Found in the Security Center section, this option is easy to enable and customize. Use the IP Deny Manager to manually input IP addresses known to be malicious so that they’re never allowed to log on. You can customize the brute force option, known as cPHulk, by setting how many minutes the tool monitors for repeated logins, the maximum number of failed logins allowed and how long each IP ban stays in place. With anonymous FTP, anyone can log in to your site via FTP with only a username and a generic password. This may be useful for sharing files with a large number of people, but it’s like an open door to hackers. When all users can gain access to your server through such a simple process, every file becomes subject to tampering. Set your FTP preferences to allow only for SSL logins, and require a password to be entered each time. The setting can be found under FTP Server Configuration in cPanel. Secure shell (SSH) is a convenient way to access your site from a remote location. Unfortunately, it can also provide an entry point for hackers. Information sent through SSH is authenticated and encrypted to prevent outside manipulation, so malicious users can’t touch it unless they break through your security measures. The default port of 22 is the most common setting for SSH access. Changing it to another available port and implementing a security key for logins minimizes the risk of being hacked. Switch the settings from SSH1 to SSH2 for additional protection. Hotlinking is the practice of linking an image or file on one server directly to a page on a remote website. Some people do this in ignorance, assuming the easiest way to embed an image is to use the original link, but it’s generally considered a bad practice. Hotlinked files use bandwidth from your site every time someone accesses them, and this has the potential to overload your servers if too many requests are made. The Security section of cPanel offers hotlinking protection. Simply enable the setting to prevent third parties from linking to your files. Add an extra layer of security by specifying certain file extensions you don’t want to be hotlinked. Enabling these supplemental security settings helps address any remaining vulnerabilities and keep hackers at bay. Your web host should have automatic cPanel updates in place. If not, go to Update Preferences in the Server Configuration area and enable the setting yourself. Old versions of software, including cPanel, may contain security vulnerabilities hackers can use to access your server. Automatic updates ensure you’re always running the latest version of cPanel with any associated security patches and bug fixes. Go back and check once and a while to confirm updates are running as they should. If not, update manually and contact your web host to find out why the setting isn’t working. Security is one area of website management where you should never cut corners to save time or effort. The smartest thing you can do is implement proper security measures for cPanel as soon as your hosting account is set up. However, one way you can save time and effort is with TurnKey Internet’s all-inclusive and fully managed cPanel solution. We monitor and take care of your server so you can focus on running your business – leave the infrastructure, software updates, security, backups, and uptime to us. The Best Value cPanel Web Hosting Dedicated Server from TurnKey Internet provides the perfect combination of security, performance, features and cost for the ultimate cPanel/WHM Web Hosting Server. This package offers a complete all-inclusive fully managed service including software licensing for cPanel/WHM, enterprise-grade server backups, and the premium high capacity DEDICATED server with RAID and SSD ultra fast disks. For more information, click here. As the holiday season draws near, it’s time to start thinking about updating your website to capitalize on the increased traffic that often accompanies this time of year. Satisfied customers and a successful holiday season will make any business owner smile, and your website can play a big role in making that happen. Taking extra time to prepare now is a good way to avoid technical problems and other issues during the holidays. Thanks to the growth of smartphones and other mobile digital devices, online shoppers don’t have to be chained to their computer desks to check off purchases from their holiday shopping lists. Developing a simple and functional theme specifically for your mobile users can increase your potential customer base. The easiest way to do this is to make use of responsive designs. With a responsive design, your website will modify itself automatically to create the optimal layout for the customer’s mobile device; these designs can accommodate both smartphones and tablets. Due to the smaller screen size typical of mobile devices you probably won’t be able to maintain the exact same design from your desktop version, but you can still use the same branding and color scheme. You may want a website with all the latest bells and whistles, but consider your website’s performance before you load it up with high-resolution graphics and elaborate scripts. Sluggish loading times on your website frustrate your customers and may encourage them to shop elsewhere. Before the holidays start, have your technical support team run tests on your website to see how fast each page loads for the average user. Changes to your design, such as reducing large images and eliminating complex coding scripts, can help your website perform better. You can also opt for a better cloud solution or web hosting server for your website to see even more improvement in loading speeds. Shopping online is always risky; some websites don’t safeguard customers’ data properly, putting these individuals at risk for identity theft and other issues. 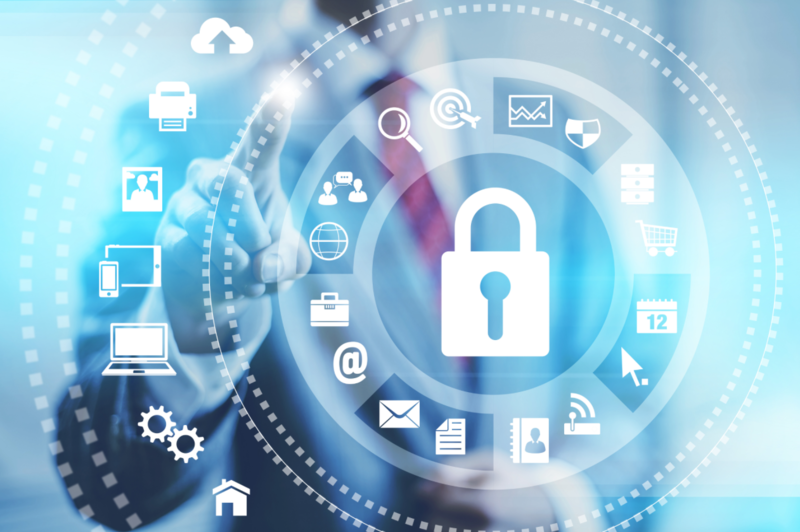 Investing in robust security software is a good way to protect your customers’ important data. Your technical support staff should keep apprised of the latest developments in online security to help your customers stay safe. To help alleviate your customers’ concerns, you can include information on your website about the security protocols that you use and offer tips on how your customers can shop online safely. Browser problems, incorrect stock levels and missing orders are just some of the common customer issues your staff will need to work through. 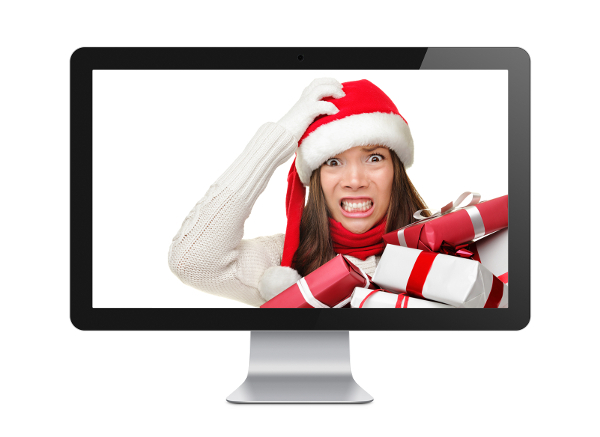 Having enough staff on hand is an essential ingredient to helping your website survive the holidays. If possible, offer a live chat support option to those who are currently browsing your website. Keep an eye on your social media profiles in case a customer tries to reach you through those networks. Some customers may prefer to use email to get in touch with you; using a ticket system to handle incoming customer emails is a good way to keep track of issues. Help your staff to cultivate a customer-centric attitude, and try to anticipate common problems so that you can develop solutions ahead of time. Improving your search engine rankings before the holidays begin can help fuel your success during the holiday rush. There are many ways to help boost your search engine rankings, starting with updating older pages on your website; offering fresh information to your visitors is a good way to impress search engines and show that your website is active. Adding special features, such as a blog, can also help. If your blog content is particularly noteworthy, you can expect more traffic to head your way. Your blog content should offer something useful to readers, such as tips for using your products. A festive design for your website encourages your customers to start thinking about the holidays. You don’t need to spend excessive money on a festive look; changing some pictures and making some cosmetic changes, such as altering the font color, can help dress up your website. Your holiday look should also include banners displaying any specials you plan to run, including discount codes. Social media networks offer an excellent way to connect with individual customers, generate buzz about your products and direct traffic to your website. Don’t let your social media networks sit unused with only a link to your website; update them frequently and interact with your customers. Make sure your profile on each platform matches so that you have cohesive branding. As the holidays draw near, using social media to announce your specials will help you get more interest from potential customers. If your website is unable to handle massive amounts of traffic at once, a crowd of shoppers on big sales days could lead to sluggish performance or an outright crash. Major server problems are not something to be taken lightly; investing in the right server infrastructure for your expected traffic is a good way to avoid these issues. If your customer base is larger, you might need a dedicated server to keep your website afloat during the holidays. Dedicated Servers may cost more than basic shared or cloud hosting, but your website won’t be at the mercy of problems caused by other websites/users on the server. Examining every aspect of your website before the holidays arrive can help you prepare a strategy to improve customer satisfaction and your own business success. A good website requires many things, including fast loading times, quality customer service and security. Working on these elements early can ensure that your website is ready long before your customers even start to think about tackling their holiday shopping lists with your business. Running a business of any size today requires that you make use of today’s most innovative and affordable technology. Whether it’s to improve performance or Disaster Recovery planning, utilizing cloud-based servers and backup solutions is essential. 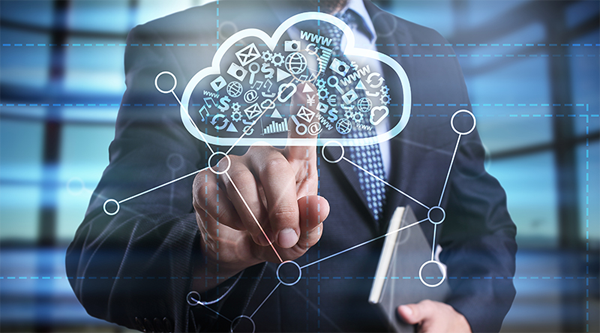 When you want to expand your brand without putting a lot of money into a restrictive and outdated IT infrastructure, you can stay at the top of your competitive game by moving your company to the cloud today. As the cloud goes mainstream, businesses everywhere are capitalizing on the new technology—both internally and as a potential area for expansion. The faster you move your business to the cloud, the faster you will be able to incorporate new technological advances into your business model. The longer you wait, the more difficult getting a handle on the new services will become. Start now, start small, and soon enough your business will be launching ahead of your competition. It is not every day that an opportunity presents itself to take a giant business leap forward without any risk to the business’ foundation or to day-to-day operations. You can get cloud services up and running while everything else stays in place then, when you are ready to switch over, do it seamlessly and without any glitches. IT infrastructure is extremely costly, from a monetary and environmental perspective. Housing, cooling and powering your business servers requires a large amount of energy. From an individual business’ perspective, this matters, but it also matters on a macro level. Provisioning a virtual cloud server for each of your clients is far more efficient than providing a dedicated server for each one. As more and more businesses move to the cloud, we will reduce carbon emissions exponentially. That alone is a good enough reason to switch. Time is money when it comes to serving your customers. When your IT infrastructure goes down, you are unable to help your clients and thus end up losing money that your business needs to survive and grow. You could even lose sales and profits to your competitors. Because it is not prone to costly, time-consuming outages, the cloud proves to be the better, more affordable option for your business. You avoid losing time and money and your business can grow and profit at a pace that is not available with outdated technology. The latest studies show that more companies of all sizes are deciding to switch to cloud and away from outdated, costly, and time-consuming technology. By 2020, close to 80 percent of all businesses worldwide will have made use of cloud technology. By moving your business to the cloud, you stay on top of your competition and make available technology that will let you serve your customers better and increase your profits to even higher levels. For years, many businesses have been utilizing cloud services to run things behind the scenes. There is no foreseeable end to the cloud—it is growing every day as more people realize how powerful, cost effective and useful it really is—and for many small and medium-sized businesses, the sooner they implement cloud services, the better for their bottom line. If you are serious about your business, you plan to grow – and picking TurnKey Internet as your Cloud partner provides you future growth ready flexibility. TurnKey Internet offers a wide range of cost effective cloud service options and platforms to get your business online. From value-priced Web Hosting Plans, Virtual Private Servers, Dedicated Servers, Managed Servers to Secure Colocation Services, TurnKey Internet can meet your cloud-based needs from 1 small virtual server up to hundreds of dedicated servers. The foundation and core of TurnKey Internet is structured for lighting speed and rapid growth through our company-owned network and datacenter. If you’ve ever waited for a slow website to load, you know how frustrating it is. It only takes a few seconds – if that – for you to start getting impatient and considering going to another site. Visitors to your site feel the exact same way. People have grown increasingly accustomed to instant results, and most web users expect web pages to show up on their screen right after clicking or tapping. A slow website can directly, and negatively, impact your sales and ability to draw in new clients. However, it’s not just sales that take a hit when your website is crawling. Slow load times can result in reduced search engine rankings and depressed conversion rates. Additionally, a slow website is often the sign of a design problem, which may mean that you’re using more bandwidth to do less. According to a recent study, one-third of online shoppers will leave your site if it takes more than five seconds to load. Along with the fact that five seconds is a very short amount of time to work with, the study found that people are getting more impatient; a previous study showed that you had six seconds before people left. If that weren’t bad enough, a study done by Google that specifically looked at mobile users found that these individuals are even more impatient. More than half of those involved in the study will leave a mobile website if it doesn’t load in three seconds. What this means is that your website design needs to focus on speed instead of design elements. To ensure that people will go to your website – and stay – your site needs to be fast and streamlined. If you’ve got your website loading under five seconds, you may get visitors to stick around, but it won’t necessarily net you a sale. The study that found many people will leave after five seconds also determined that a 2.4 second load time led to the highest conversion rates. This is backed up by data collected by Kissmetrics, which showed that a one second delay in website response time can lead to a seven percent conversion rate drop. The collected data also showed that people who made purchases from a site but were unhappy with the site’s performance were less likely to buy from the site again. In other words, the bare minimum to get someone to stay may be five seconds, but if you want to make a sale, and keep making sales, your site may need to load even faster. Load times don’t just affect whether or not a potential customer stays on your website. They may also play a part in determining if someone ever arrives at your site. This is because Google looks at user experience when calculating search engine rankings. There are a number of factors that go into user experience, but load time is a significant one. Search engine ranking is very competitive since it determines where your site shows up in search results and if it shows up on the first page. With less than 80 percent of people clicking to the second page of search results, it’s essential that you’re doing everything you can to be on page one. Google offers a website to check your site’s performance, and according to the search engine, a score of 85 or higher out of 100 means that your site is doing well. Anything below that likely spells trouble when it comes to your search engine rankings. It’s also important to note that Google has started to give websites that are mobile friendly higher rankings when people do a search from a mobile device. If you have a desktop site that loads quickly but don’t create an equivalent mobile site, you could see a drop in your mobile search rankings. There are a variety of reasons that your website may be running slowly or simply not loading as quickly as visitors would like. Many common reasons relate to design, such as running too many scripts or filling up the page with large media files. These problems can be resolved easily by streamlining a website and cutting down on files and scripts that bog the loading process down. Doing this may help to improve the performance of your web server as well. If the media files on your site that are taking up enormous amounts of bandwidth are compressed or if you reduce the number that load on your site, you could see a lot of resources freed up. However, slow load times, especially if you have optimized your website, may indicate that there’s a larger problem with your server or the network you’re running on. If you are hosting on a Shared Server, it could be that you need more power and system resources. To resolve this, it is recommended that you upgrade to a VPS/Cloud Server or Dedicated Server solution. If your business is utilizing a Colocation solution but still experiencing bandwidth and network issues, it may be time to change your Data Center and/or Cloud provider. While attractive and innovative website designs may be appealing, if you’re in the business of selling, your focus should be on a website that loads quickly and is easy to navigate. Shaving just a second off of the load time of your site and pages within it could mean a dramatic difference in conversion rates and sales, and it could also improve your search engine rankings.